Remembering the Scene at Alleged, Where ’90s Misfits Found a HomeSkaters and artists look back at their storied haunt. 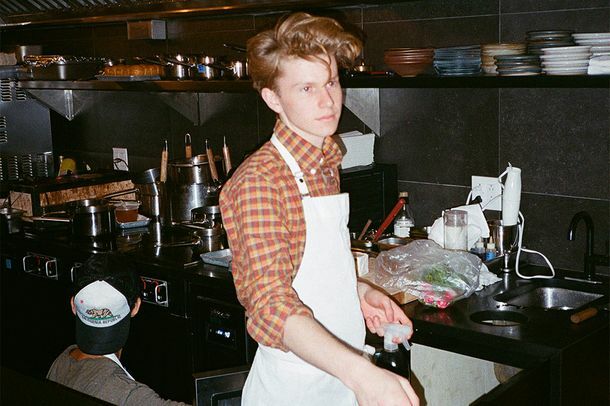 What Happens When ‘the Justin Bieber of Food’ Grows Up?Flynn McGarry is ready to shake off the Teen Chef label once and for all. 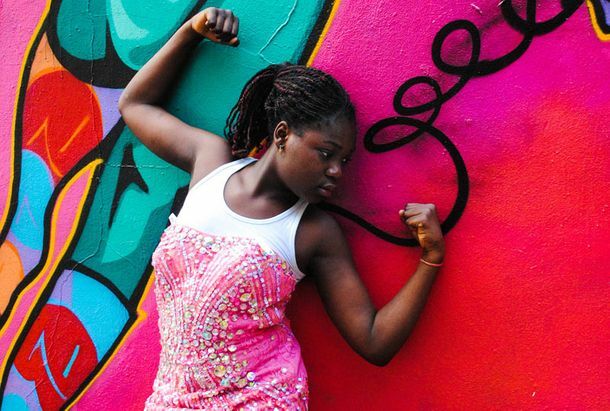 Girls Clubs Make Art From Old Prom DressesTeenage girls document the Power of Pink in a new photo project. Each NYC Neighborhood Has Its Own Beauty LookA makeup artist compares the LES, the UES, and Soho. A Cult Jeans Shop Returns, High-Design Humidifiers, and Vintage in the LESWhat’s new in New York stores. Schiller’s Was McNally Land for the EverymanDuring its heyday, Schiller’s was Keith McNally’s vision, designed expressly for walk-ins and neighbors. A Guide to Essex Street’s Cheap-Eats RowA nosher’s paradise, from pickles to pupusas. Another Restaurant Bites the Dust on Clinton StreetFour-year-old, critically acclaimed Yunnan BBQ. Canada’s Great Painting Show Is a Tipping PointThe show has me worried about the fate of the Lower East Side. The Hester Street Fair Returns This SaturdayNew vendors include En Japanese Brasserie and Scarr’s Pizza. The Metrograph Movie House Serves Steak Tartare at Its CommissaryPlus, spaghetti pomodoro and brown-butter trout. Café Henrie’s Light, Bright Dinner Menu Launches TonightCamille Becerra’s signature Dragon Bowl — plus some. Brooklyn’s Speedy Romeo Debuts LES Location With Pastrami PizzaThere’s mustard-spiked bechamel and a crust that tastes like an everything bagel, too. Manhattan Will Get Another New Jean-Georges RestaurantThe chef will run food operations at Ian Schrager’s new Public Hotel. The Snack Game Is Strong at Newly Opened Ludlow Coffee SupplyThe coffee shop serves made-to-order toasts, baked eggs, and salads. New York’s Next Big Cocktail Destination Opens TonightPegu Club alum Giuseppe Gonalez’s Suffolk Arms is ready to go on the Lower East Side. Why You Should Definitely Try Malaysian-Style White CoffeeIt’s served at Kopitiam, a tiny café on Canal Street. Nakamura Is the Newest Big-Deal Ramen Shop to Get Excited AboutNoodle legend Shigetoshi “Jack” Nakamura is back in the kitchen and serving his trademark yuzu dashi. Here’s the Varsity-Level Bubble Tea That’s Earned a Cult FollowingBoba Guys, now open on the Lower East Side, prides itself on using all-natural ingredients. Christmas Miracles: Mission Chinese Food Launches Weekend BrunchIt debuts tomorrow morning. Mr. Taka Is a Tokyo Ramen Master’s Introduction to NYCThere’s yuzu shoyu ramen, spicy miso ramen, Japanese-style chicken wings, and more. Lowlife Opens Monday With Highbrow Food From a Former Blanca ChefLike borscht with raw cream and trout roe. 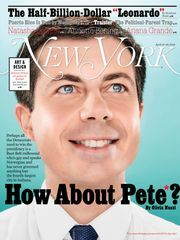 How Kenta Goto Opened One of NYC’s Most Unique New Cocktail BarsThe Pegu Club vet discusses his new bar, the differences between Japanese and American bartending styles, and why he sees himself as the Manny Pacquiao of the mixology world. A Will Ferrell–Themed Bar Is Opening in the LESIt’s called Stay Classy. New York’s Newest Gourmet Gelato Shop Is Run by a 17-Year-OldThe overachiever learned the craft in Italy. Pegu Club Vet Opens Bar GotoKenta Goto will open Bar Goto with a distinct focus on Japanese-influenced cocktails and an entire menu section devoted to okonomiyaki. Wildair, the Contra Team’s Casual Spinoff, Will Serve Steak, Squid, andIt opens on Tuesday. America’s Last Family-Owned Matzo Factory Has Been SoldStreit’s was a neighborhood fixture for 90 years. Introducing ‘Tampa-Style’ RamenSlurp tonkotsu while you salsa. Rebelle Opens MondayChef Daniel Eddy’s menu explores French classics in a modern way. Hester Street Fair Will Return on April 25 With Some Cool New VendorsEgyptian bread, buttermilk biscuits, and Malaysian desserts. Katz’s Last Remaining Neighbor Closes to Make Way for Giant CondoDon’t worry: The future of the deli is secure. Everything You Need to Know About Dewey Dufresne’s BYGGYZ Sandwich Shop,Wylie’s dad is on track to open his long-in-the-works sandwich shop just across the street from the late, great wd~50. New York’s First Cider-Centric Bar, Wassail, Opens on TuesdayThere’s food, too — and it’s totally vegetarian. Review: 3 Stars for Mission Chinese FoodThe chef’s real genius is for creating a grand sense of occasion, and his restaurant finally gives him the space to do just that. LES Whynot Coffee Moving to Smaller Space Nearby, Making Way For SushiIt’s one of the handsomest coffee shops in the city. First Look at El Rey’s New Dinner MenuExpect vegan chicharrones and an expanded drinks list when Nicholas Morgenstern kicks off evening service tonight at 5:30 p.m. The Man Who Gave New York Its Greatest Candy Store Has Passed AwayMorris “Moishe” Cohen founded Economy Candy in 1937. The LES Will Get a Fantastic-Sounding All-Cider Bar Next MonthThe Queens Kickshaw team is expanding with a brand-new concept. Meet Petra ‘Petee’ Paredez, New York’s Newest Pie SavantShe also makes a mean quiche. Pies ’n’ Thighs New Sourdough DoughnutsThe dough is allowed to ferment for three days at this new Canal Street outpost. Streit’s Matzo Factory Is Leaving the Lower East SideThe 90-year-old institution may reopen somewhere outside of New York.